I have in the past observed that the Australians take their military memorializing seriously. Not the rather loud method that the US uses, but far more solemnly. In my observation, US Memorial Day is a day to open the summer season of fun, have a day off work, visit the beach on the long weekend, have a barbeque. A minority of folks, usually those who have some relationship with the military, either by way of their own service or by way of a relative, and by no means the majority of those, will visit a military grave or memorial. But to the public at large, it's just a day off. Not so in Australia and New Zealand. Folks will get up early for the dawn service. A lot of folks. 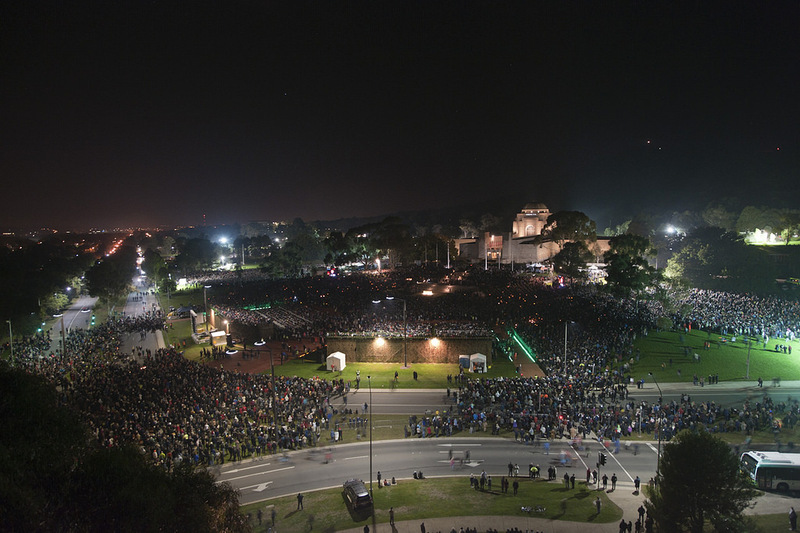 Here's the Dawn Service at the Australian War Memorial. That's some of the 120,000 folks who got out of bed before dawn to go stand at the memorial that morning. That's about one third of the population of the entire city. 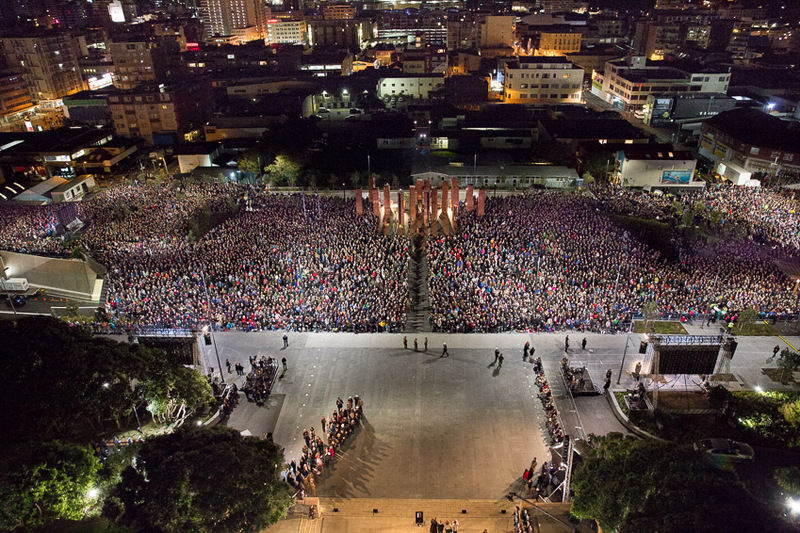 Across the way, the service in Wellington, New Zealand (population 200,000) had some 50,000 attendees. Granted, that was the hundreth anniversary of Gallipoli, which boosted the numbers considerably. But I can't think of any other Western nations where this sort of thing happens. 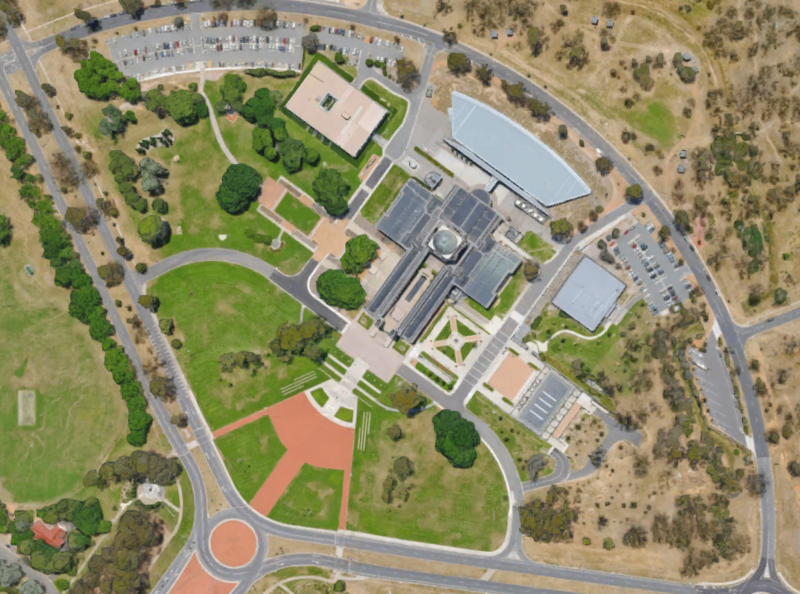 There are two "keystones" to the city of Canberra, if you look at a map or satellite shot. One is the large circle around the hill upon which the Australian parliament building is located. 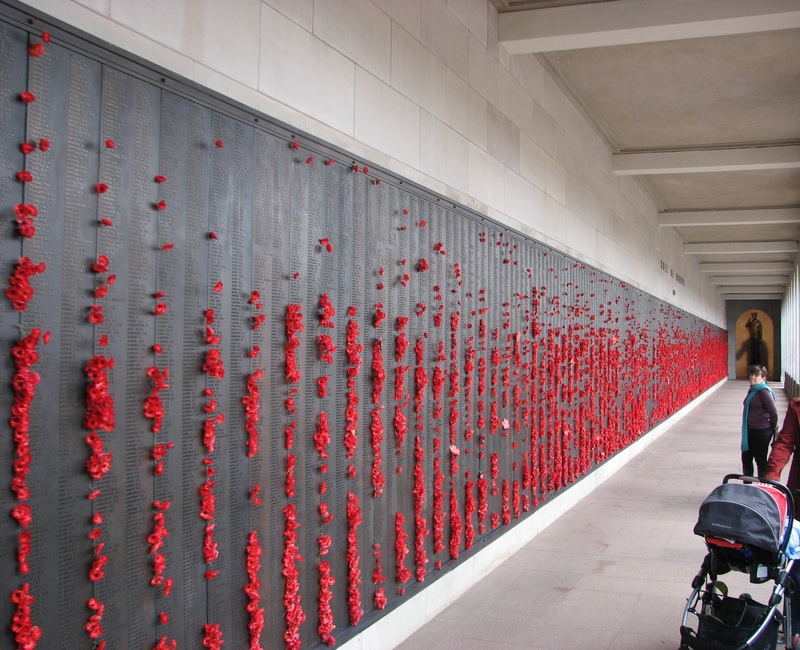 If you follow the grass line and large street (ANZAC Parade) to the North East, directly in line with the parliament's front door, you reach the Australian War Memorial. 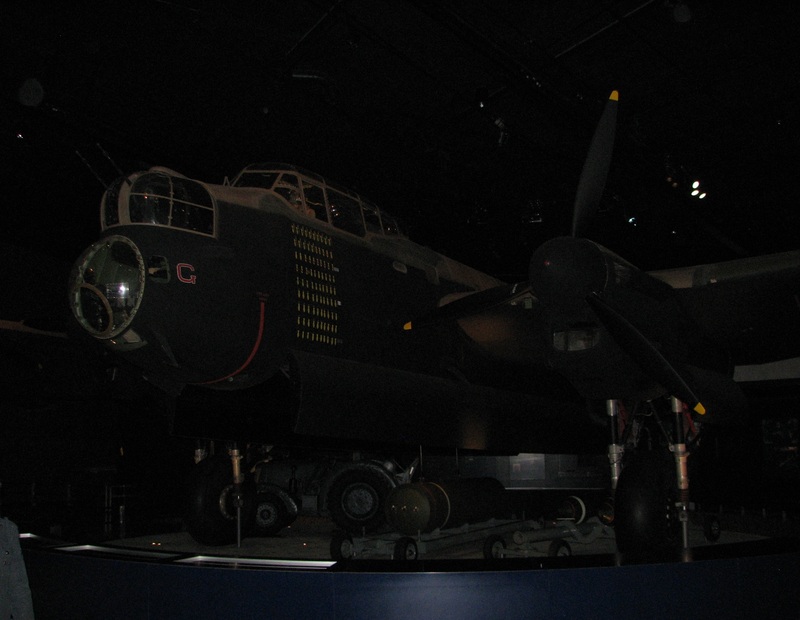 Part memorial, part museum, it's a must for any visit to Canberra. (Though Canberra's not a massively exciting town, so it's not hard to visit it. Apologies to any Canberrans reading this). One nice thing about Canberra being a modern small city is that getting around is very easy. Parking was perfectly adequate for a visit on any other of the 364 days of the year. 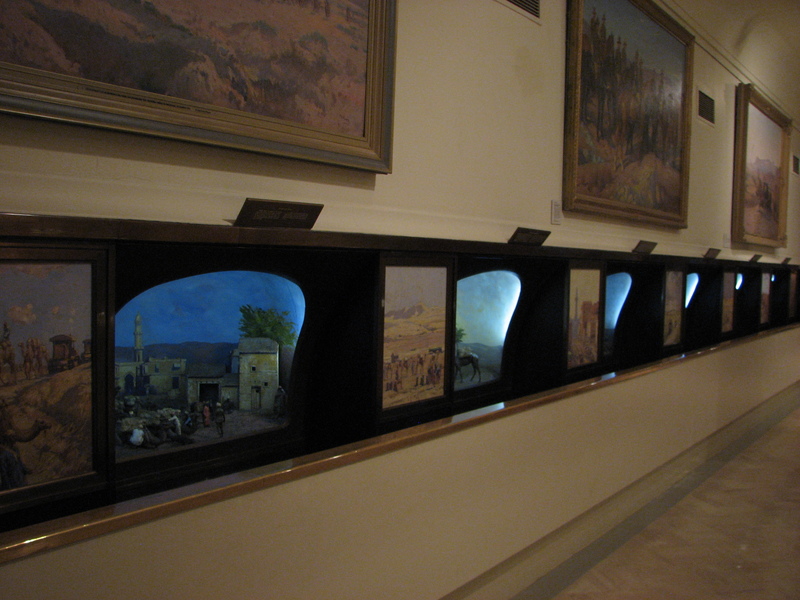 Guided tours are freely available. The tour will start at the memorial part of the building. There is, perhaps unfortunately, still room for additional names, but it is a reflection of the reality of the world that further sacrifices will be necessary. The poppies have been placed in the cracks between the slabs by relatives or friends of the person whose name it lies next to. 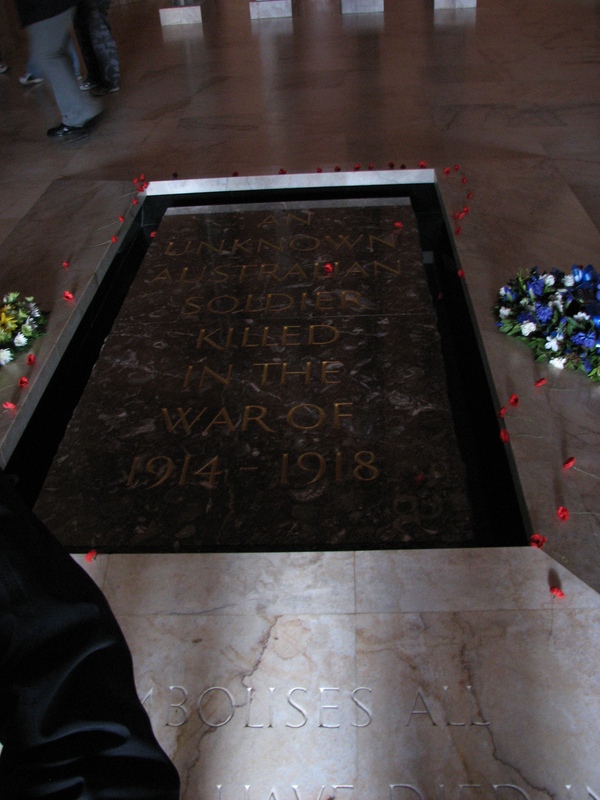 Unlike many tombs of the unknown soldier around the world, the Australian grave is inside a chapel. Unsurprisingly, given the origins of ANZAC Day, and as the origin of modern Australian military commemoration, the unknown is from WW1, although from France, not Turkey as one might initially have expected. As is the fight in North Africa, before moving to the Pacifc. ...To the wars of the 21st century. Oddly, I don't recall seeing anything relevant to the Emu War. It will be interesting to see how much room the building has to expand its exhibitions over the coming decades, but at least there's still a fair bit of space around the building. That said, too much new construction will kindof kill the atmosphere that the place has. Again, these are mainly smaller artefacts. 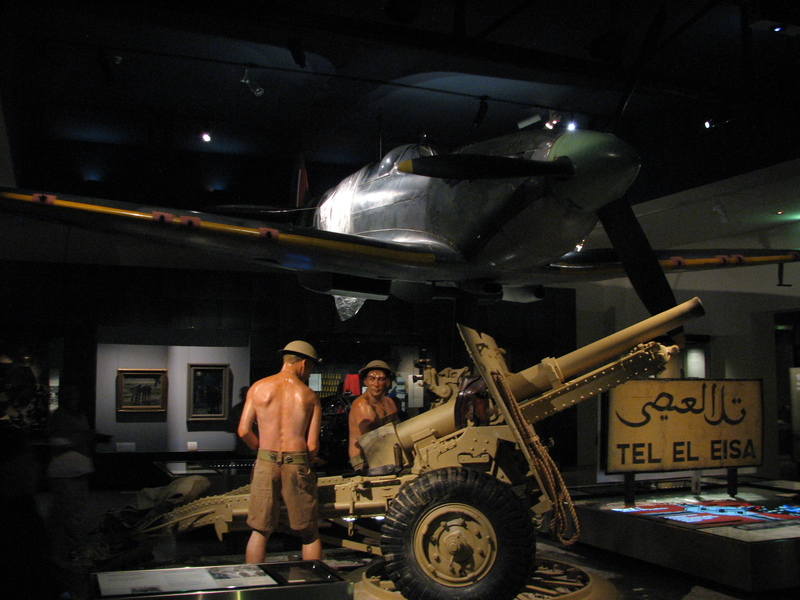 For most of the museum, the largest thing you will see is the occasional WWII fighter hanging from the ceiling. There are, however, two macro-exhibit halls. The Aircraft Hall, and the ANZAC Hall. The former has the aircraft, oddly enough. The latter, well, that has aircraft as well. Although, for the next year or so, it also has Mephisto, the sole surviving WW1 A7V, on loan from those chancers in Brisbane who nicked the tank in the first place. Those of you looking for the majority of the larger artefacts, such as the Thunderbolt tank (A.C. 3), are going to be disappointed. 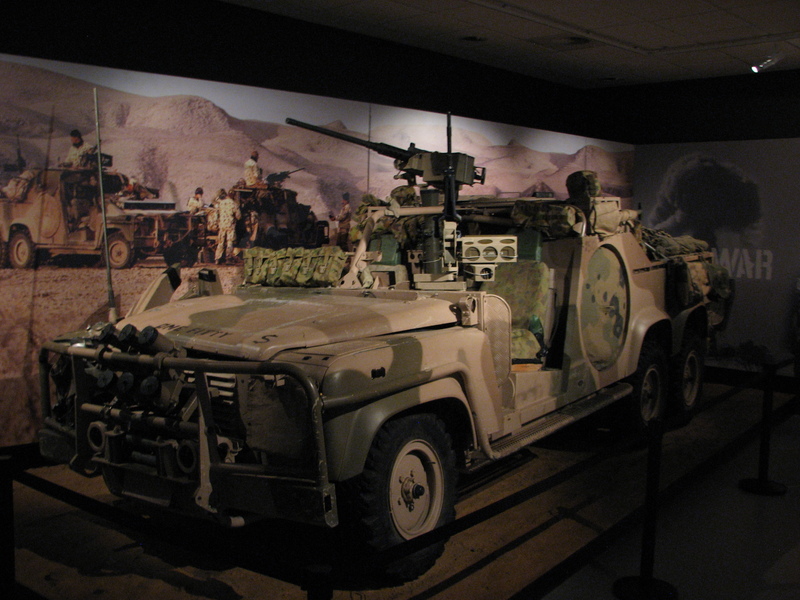 The AWM has a large storage facility, the Treloar Technology Center, a purpose-built warehouse in the North of the City. It is possible to visit the warehouse, but it's more theory than practice. It's open to the public one day a year, known as the "Big Things in Store" event. Check the AWM website for details, it's not unusually in September. And they limit it to a first-come, first served until capacity (of about 5,000) for that day. If you want to see tanks, you are better off going to Puckapunyal or Cairns, which is a bit of a shame. 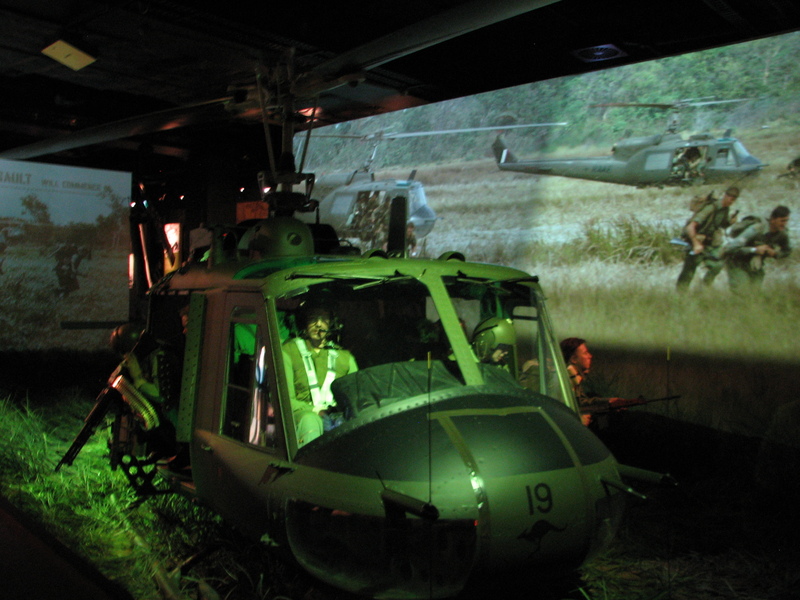 Overall, the AWM is a fitting combination of memorial and teacher of the Australian military heritage, but it's not so much an artefact museum. Worth the time to visit, just know what you're expecting to see. Hey Chieftain. You should note that my province in Canada, Newfoundland, formerly it's own country is one of the few places outside Aus and NZ that commemorates ANZAC Day. 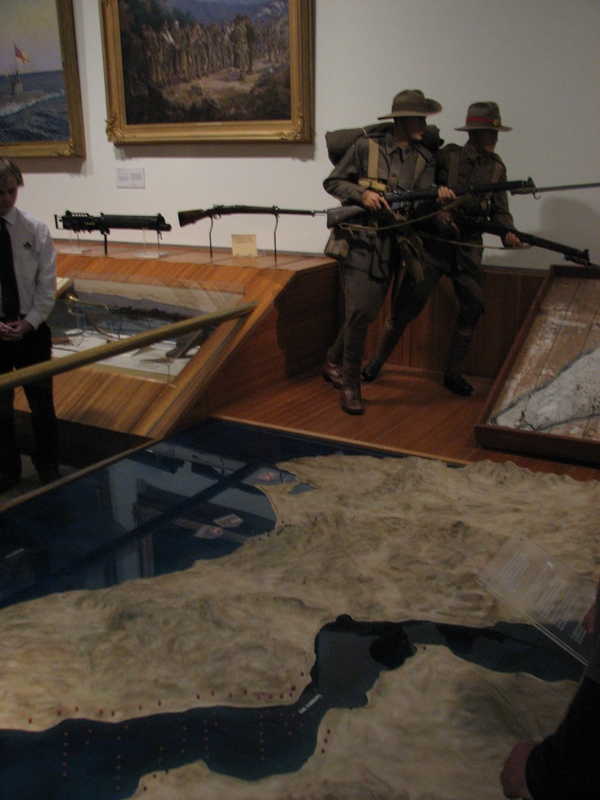 The Newfoundland Regiment had its first action at Gallipoli. 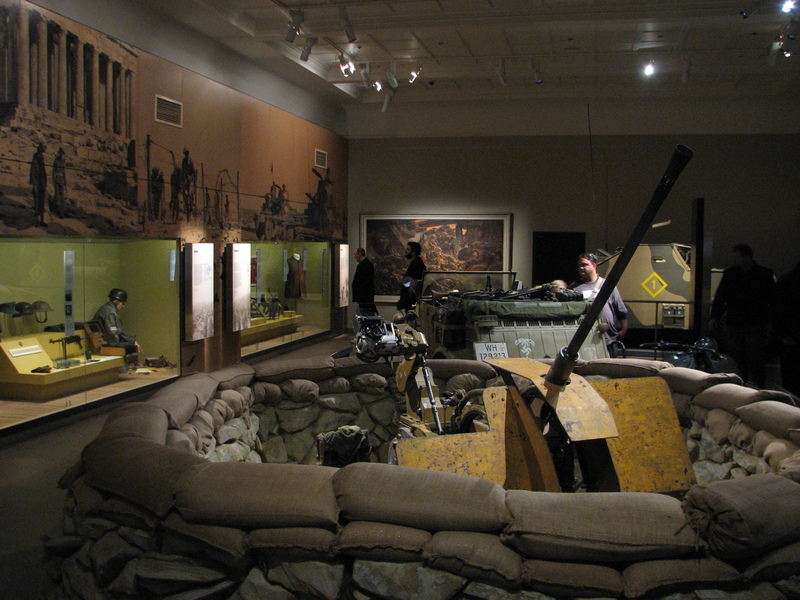 They didn't suffer near the casualties as they were a later unit and were basically trained in by the ANZAC forces. They were our buddies. They also were one of the last regiments to leave as they covered the final retreat. There is a hill called Caribou Hill at Gallipoli, the caribou being our symbol and has statues at 4 places, like Beaumont-Hamel, but not Turkey so far. The Nfld Regiment was the only unit that was given the title Royal during the war due to our continued efforts at so many battles and our contribution of troops which per capita was higher than anywhere I believe. The level of our casualties is considered one of the reasons why we fell into economic problems and were eventually to join Canada. Only nation that was forced to repay its war debt to the UK! Celt, as an aussie who also knows this, I am surprised Chief didn,t give the canadians a mention. But it is actually Nfld, not Canada that remembers this day, if I recall correctly. During WWI we were a separate nation and the first to answer the call. July 1 is Canada Day but it is also the opening day of the battle of the Somme where the Nfld Regiment was almost wiped out at Beaumont-Hamel, the most visited and completely intact site leftover from the war. Canada day is one of mixed emotions here, and the turnouts at the War Memorial are quite good, no matter the weather. Might also note another big connection of Canada with ANZACS. Korea. Kapyong. NZ artillery support performed admirably. Aussies on the west flank were hit hard, inflicted but also received a lot of casualties and eventually had to withdraw. Canadians, 2 PPCLI, on the east flank were hit next but held off huge numbers of commie troops and were never dislodged. This action prevented the outflanking/isolation of the main USA positions and the possibility of Seoul being captured. The 2 PPCLI as well as the Aussie 3 Rar received the US presidential Citation. They both got the battle honour -Kapyong. The NZ got the South Korean Presidential Citation. Edited by NL_Celt, Apr 26 2017 - 02:21. It was the sacrifice that these soldiers, sailors, airmen and the Unknown that we all enjoy our freedom. I stand in aw of your sacrifice.......salute. My wife's Uncle served with 3 RAR in Korea and Vietnam, Sadly he passed away a few years ago. Edited by Krahe, Apr 26 2017 - 03:03. Hmmmm, Thunderbolt tank. Candidate for tier 5 premium in between the other two sentinels at tiers 4 & 6? We all will die, but your wife's uncle can say he died well. Edited by NL_Celt, Apr 26 2017 - 05:37. Having celebrated ANZAC day a couple of times, I'm here to say it's no where near the comparison to Memorial day. Yes, it starts with a dawn service in honor of the attack at dawn on Gallipoli... and then it's quickly followed by a 'gunfire breakfast' ... that keeps going ALL DAY LONG (switching to beer and other assorted alcohol as the day goes on). The couple of times I have celebrated ANZAC day, I needed a memorial day weekend to recover. Was reserve catafalque for a dawn ceremony in Wellington in case one of the lads dropped. Thankfully they held fast, couple of older guys - a drummer in the band, and an old guy who was walking down the ramp of the council building in Upper Hutt (thought this guy cracked his skull open from the sound he made when his face his the ground), both feinted. Had a couple of drinks with the lads after the ceremony was finished and the guard was falled out, but went back to barracks later and crashed out from the lack of sleep, which is kind of a pity, I was looking forward to getting hammered with the lads. Note to self - "Pop a tranq and actually get some sleep for the 2018 parade, so I can get on the piss with the lads all day". Later heard of anti-war protesters down at the main ceremony in Wellington city proper, that got the blood going. As an Australian and an ex serviceman- Salute -- o7 --thanks for giving our troops a mention on your site Anzac day is tremendously important to us as a nation. 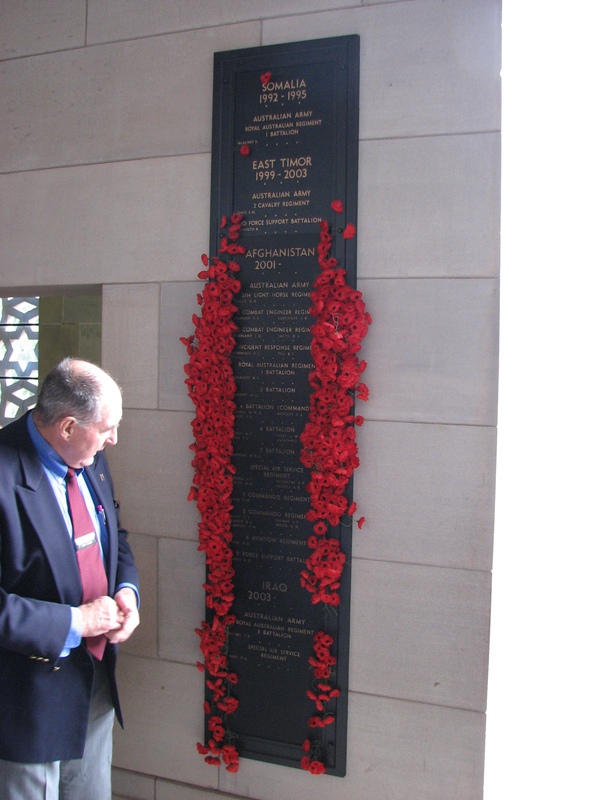 Read the page on Australia's Veterans Memorial holiday. And you stated this: Not the rather loud method that the US uses, but far more solemnly. In my observation, US Memorial Day is a day to open the summer season of fun, have a day off work, visit the beach on the long weekend, have a barbeque. A minority of folks, usually those who have some relationship with the military, either by way of their own service or by way of a relative, and by no means the majority of those, will visit a military grave or memorial. But to the public at large, it's just a day off. Edited by Sgtjrmiller73, Apr 26 2017 - 14:33. Historian David Blight gives an interesting account of the origin of the US Memorial Day. It originated during the Civil War and Reconstruction and was known as Decoration Day. Ex-slaves in the South set aside the day to celebrate the Union dead and to maintain and decorate their neglected graves. Wonderful story. Edited by xtc4, Apr 26 2017 - 16:06. Was unaware you had posted publicly as well as in PM. For anyone else, I responded as below. As a veteran of the US Army, I stand by my statement. As I observe, and you quoted, a minority of folks will commemorate Memorial Day for the purpose was originally intended. I presume you are one of those. If so, you are a rarity. Of the ten-million-plus population of New York City, how many people actually attend the Memorial Day Parades (There are actually five of them)? Check out the Memorial Day events listed on NBC Los Angeles' website. http://www.nbclosang...s-94852249.html , how many of them relate to deceased servicemen? The crowd at my 'local' Memorial Day Event, in the city of San Francisco is, by photographs, on the order of a few hundred. Not the tens of thousands in a similarly sized Australian city. In Australia, it is prohibited to use "ANZAC" in anything like a commercial setting as it takes away from the solemn, commemorative nature of the holiday, yet come next month, your radio and TV will be replete with adverts Memorial Day Sales for car dealerships and department stores. Tell me I'm wrong. This does not down-grade anyone's memorial commemoration/celebration. It observes that as a nation, we in the US no longer greatly consider memorial commemorations/celebrations as a solemn event in the first place. We may have fought so that folks can have their day at the beach. That's fine, and there is no reason why a commemoration or celebration has to be a somber, dour affair. In fact, I rather prefer a party. I hope to have a good wake when I die. However, if you go down to Miami Beach on Memorial Day, how many of those folks are going to even think about raising their beer in a nod to fallen servicemen before drinking it? I am highly unconvinced that a video like the below can be filmed in Australia or New Zealand. So, to be clear. I am not putting down yours, or anyone else's memorial day celebration. You must admit, however, that there is a very significant difference in the national attitudes between the US and Australia about the day supposedly to remember those who gave their lives. ​I sadly have to agree with Chieftain on this. As a Boy Scout (got my Eagle this summer) my troop were the only ones who reliably showed up for any ceremony regarding the military in my area. We take a lot of what our veterans and service people do for granted, and its downright sickening. It was often only my thirty strong troop and a handful of local vets and their families who came to anything, including placing flags on graves. It was really bad one year, when a sect of the Westborough Baptists showed up to protest, and a lot of my classmates ([edited]the lot of them) joined in. The only thing that stopped it from getting out of hand was a branch of the Hells Angels, who heard about what was happening and arrived to help, and the local police, nearly all of whom have served in one branch or another. It still didn't stop people from trashing a cemetery, or trying to stop our parade. Grats. I'll probably get mine next year. Chieftain is a Mark Dice fan.